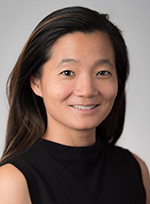 Maytinee Lilaonitkul, MBBS MRCP FRCA is an anesthesiologist at Zuckerberg San Francisco General Hospital and a faculty member of the Division of Global Health Equity. Maytinee graduated from Imperial College School of Medicine, London UK. She completed her Anaesthesia specialist training program at the Southwest Peninsula School of Anaesthesia and Intensive Care Medicine in the UK as well as a Fellowship in Advanced Clinical Anesthesia at Stanford University. Maytinee’s interests are in global health, medical education and patient safety. She is on the Publication Committee of the World Federation of Societies of Anaesthesiologists and is the Editor-in Chief of an online educational resource, Anaesthesia Tutorial of the Week. She has worked in collaboration with AAGBI (Association of Anaesthetists of Great Britain and Ireland) to develop anesthesia refresher courses in East Africa and was the director of SAFE (Safer Anaesthesia from Education) Obstetric courses in Uganda and Kenya. Lilaonitkul M, Kwikiriza A, Ttendo S, Kiwanuka J, Munyarungero E, Walker IA, Rooney KD. Implementation of the WHO Surgical Safety Checklist and surgical swab and instrument counts at a regional referral hospital in Uganda - a quality improvement project. Anaesthesia. 2015 Dec; 70(12):1345-55. Lilaonitkul M, Robinson K, Roberts M. Wellens' syndrome: significance of ECG pattern recognition in the emergency department. Emerg Med J. 2009 Oct; 26(10):750-1. Sundram F, Guyot A, Carboo I, Green S, Lilaonitkul M, Scourfield A. Clostridium difficile ribotypes 027 and 106: clinical outcomes and risk factors. J Hosp Infect. 2009 Jun; 72(2):111-8.